Briefly; tea is a beverage that is the major drink of China, India, Japan, Russia, Islamic Countries and England. However its origins are hazed and lost in the centuries. Its story is surrounded by mystery and legends that go back to the 1737 BC. Legend holds that the emperor was boiling his water beneath the shade of a tree, when some leaves fell into the pot. Enchanted by the new found drink the emperor pursuit the cultivation of the plant. Thusly, the evergreen bush of the camellia family starts to take over the world. Regardless of the truth of this legend there are records that the people in China were enjoying their tea from the fourth century AD. Back then the leaves were dried and ground down to a dry powder that was dissolved hot water. By the eighth century AD tea was already established in china and was making its way to Japan and later in India. During that time the methods changed from brewing fresh leaves, to dry leaves, to making the to a cake similar to the cigars made in Cuba, and powder again. By that time there are the first written evidence for tea by Lu Yu in its book “The Classics of Tea” written around 800 AD. It had to wait until to the Ming Dynasty that the method of making and preparing tea were established, documented and standardized. That was from 1368 to 1644, right when the western world was discovering tea. The venetians spice traders, together with the first Europeans to visit China brought back small quantities of the new found enjoyment. Soon tea, will join spices with Dutch and British traders and caravans transport it to Russia. The big break was at the turn of the 17th century when tea replaced ale (yes ale like in beer) as the most popular breakfast beverage. It should not came as a surprise neither that people were drinking beer for breakfast nor the replacement by tea. These days especially in London, water was packed with bacteria and nasty yeast and mold. Ale was boiled, meaning disinfected, and the alcohol was keeping it clean. 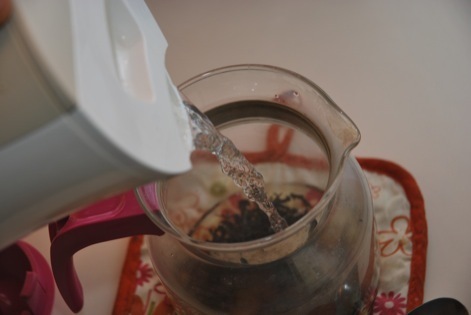 Tea was also disinfected,since it was boiled and in addition the aroma was covering up the nasty smell of mold. We came long way since these times and the tea became more elegant. It remained simple in making and it soon became a stable breakfast beverage alongside coffee and milk. To this aided the invention of the tea bag in 1904 by Thomas Sullivan, a New York merchant who was using them to send out samples to his customers. Nowadays there are hundreds varieties of tea, from aromatic to healing and from calming to refreshing. And what is little known is that tea, is tea. It all comes from the same bush that grows in the same regions it used to grow form the last 6 centuries. There are two big categories of tea, flavored tea and tea. 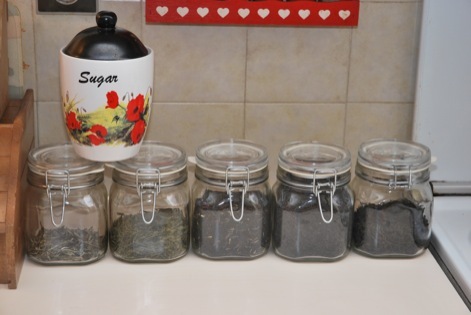 Flavored tea with a few exceptions, is not worth talking about, it is usually the cheapest tea in the market that is infused either artificially or “naturally” with essential oils and other “stuff” to smell like something that is not tea. We will talk about the real tea. The one that comes in types like, black, green, white and a couple of flavored varieties. 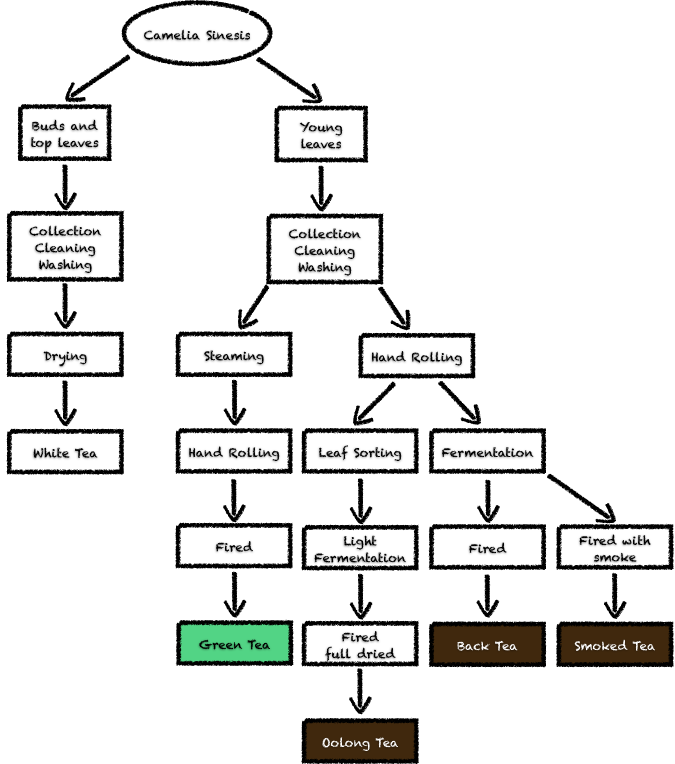 So what do white, black, Oolong, green have in common? Well it is the same thing… they come from the same bush. It is just the treatment that makes them different. Let’s start with back tea. The major tea type and the most consumed. It starts as the leaves of the bush that are bright green in color. They are firstly rolled with the hill of the hand just until they are bruised. This will break cell walls, and released enzymes that can react with tannins and phenols in the tea. Following that leaves are left to ferment, or more correctly, to mature. This is the one most important process that determines to a great extend the aroma, color and flavor of the tea. It also curls the leaves slowing down the process of brewing regulating the time required for it. Depending on the tea, the maturing process takes from 1 to 3 hours. To stop the process the leaves are let to dry at elevated temperature that can reach up to 93C/200F until they are left with about 5% moisture. 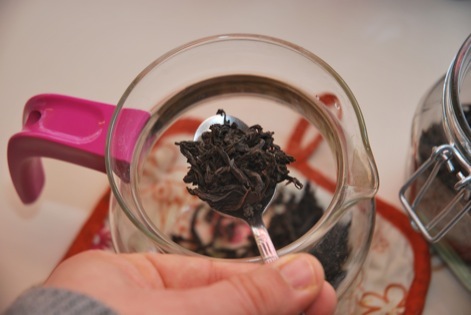 Oolong tea is very similar but the leaves are very carefully selected to be large, and the fermentation process is very small and they are dried to the the fullest. 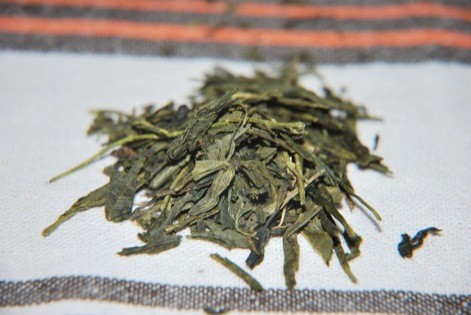 Green tea skips the process of fermentation… maturing. This is done by steaming, that deactivates completely the enzymes and then the leaves are slightly rolled and fired. Smoked tea is the same as black tea, but the firing is done in conditions that provoke smoke and that gives the tea a characteristic slightly bluish tint. 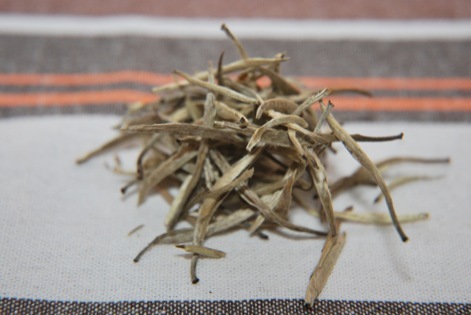 White tea, is different from the rest not only on the processing, but also on type of leaves that are used. They are only the top two leaves occasionally with their buds, that are immediately died in dry warm conditions without rolling, maturing or fired. And here they are the different types of tea. White Peony tea. Light, fruity refreshing taste. 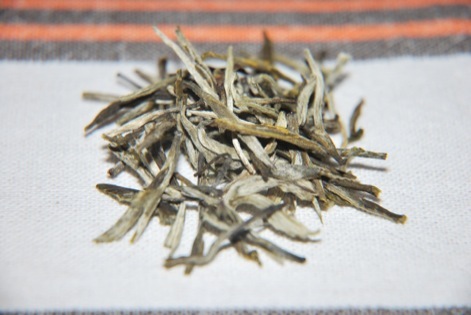 Silver Needle tea. A more saddle, light bodied with powdery texture, with very mellow flavor. Some smokey notes. Green tea. Aromatic, light with slight grassy notes. Black tea. The most recognized flavor. Aromatic, full body, fragrant and somewhat astringent. And the only aromatic tea I recognize. Earl Grey. 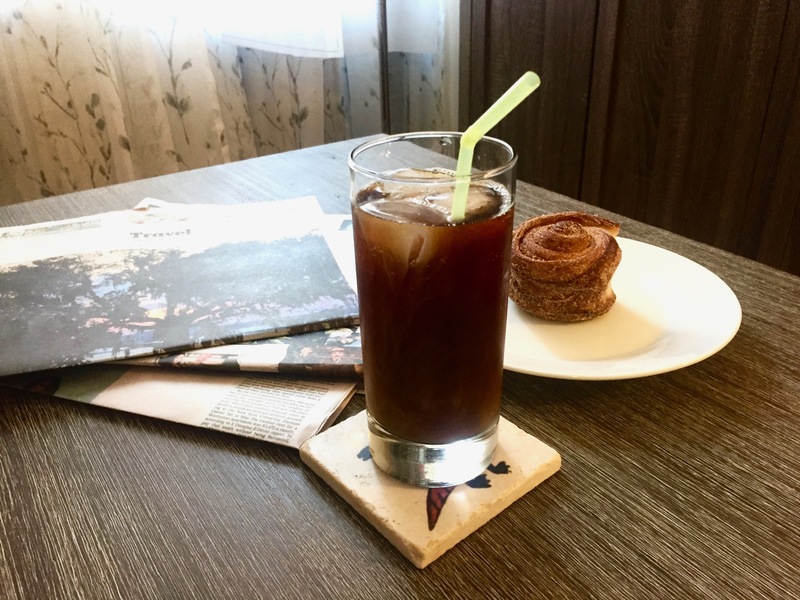 Black tea that is flavored with bergamot citrus oils and blossoms. 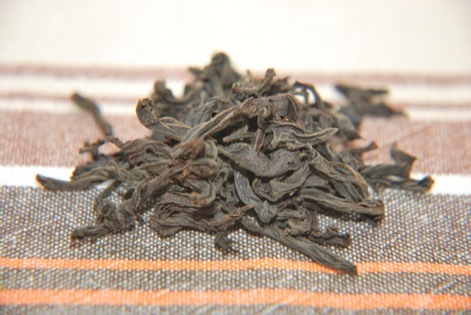 Dust –D: This is the lowest grade in the classification of Black tea. Actually it consists of small pieces of tea leaves and tea dust. Fanning: This consists mainly of pieces of tea leaves. It is a low grade. 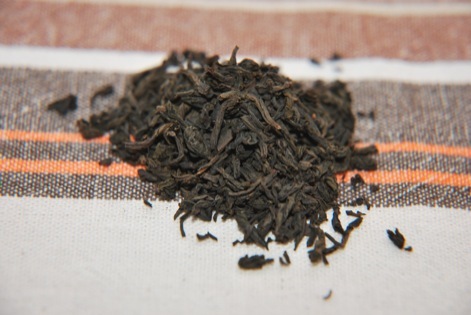 BOP – Broken Orange Pekoe: This consists of small tea leaves or pieces of large Leaves. 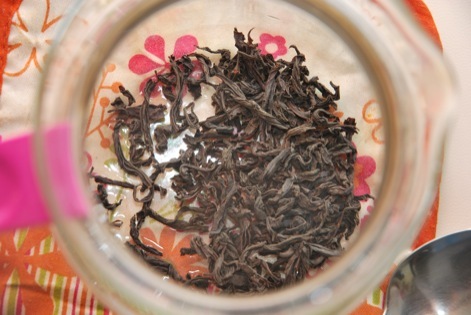 It is considered a medium grading for the classification of tea leaves. 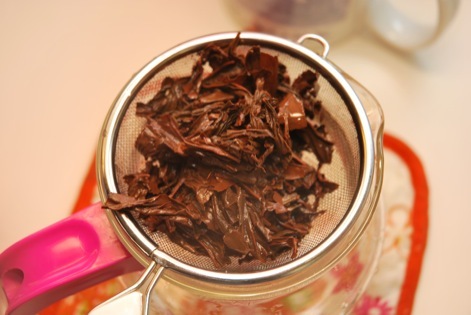 OP: Orange Pekoe This consists of large, whole tea leaves picked without the flower bud of the tea plant. 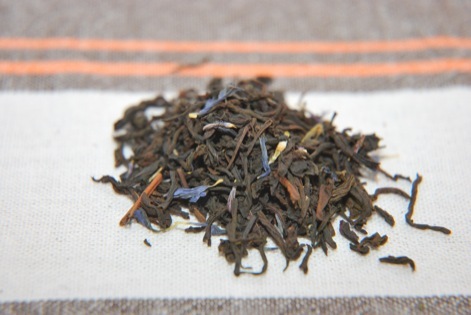 FOP: Flowery Orange Pekoe These are the whole tea leaves together with the flowering tea plant. GFOP Golden Flowery Orange Pekoe: These are whole, young tea leaves whose tips are golden and are complemented by the flowers of the tea plant. FTGFOP Fine Tippy Golden Flowery Orange Pekoe for choice tea leaves. 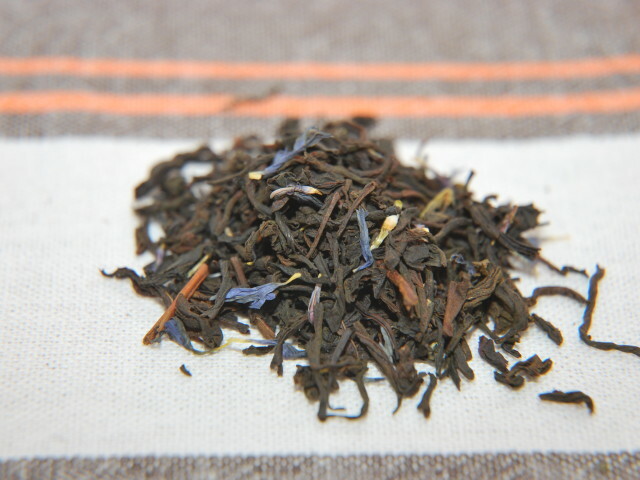 SFTGFOP Super Fine Tippy Golden Flowery Orange Pekoe which is the highest existing grade for tea leaves. So when you buy tea, pay attention to the aroma and not the fancy letters. I buy bulk, or from vendors that have a large turn over. 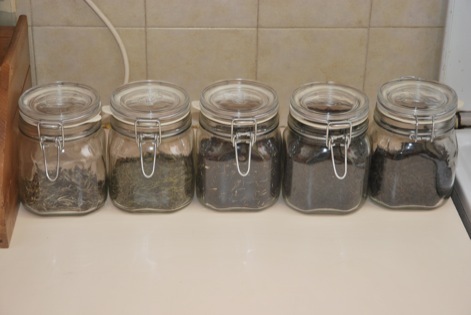 Tea, as long as it is tightly sealed, away from sources of heat and light, it keeps for long time. This is also true for flavored teas like the smoked Lapsang or the Earl Grey. Now let’s make some. It is simple and the whole process was a mystique that travels you in time. No matter the centuries passing, it is still being made the same way. The way described here is for black and some green teas. We will need tea… and that is it. Ok… Maybe some sugar. But that is it!!! 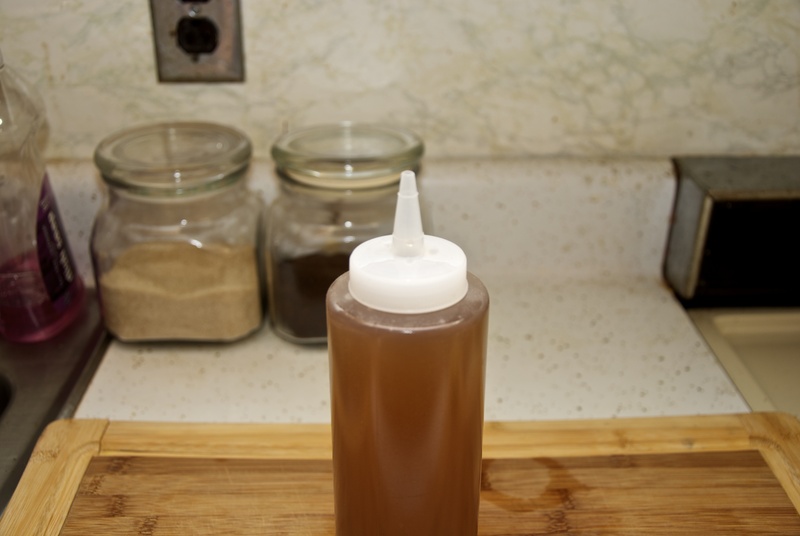 It is customary to use honey, but honey is very fragrant and it can cover/mask the saddle tea flavors. So is brown sugar. White sugar is all you need. 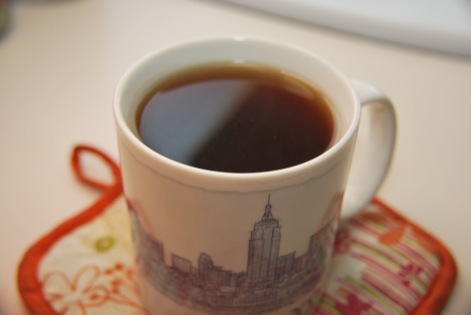 Although a perfectly brewed tea does not need any sweetener addition. Start with absolutely perfect water. Next to the actual leaves, water is the only other ingredient you will need. Heat it, in a pot, microwave, kettle or stovetop. Just until it start boiling, without reaching boil. 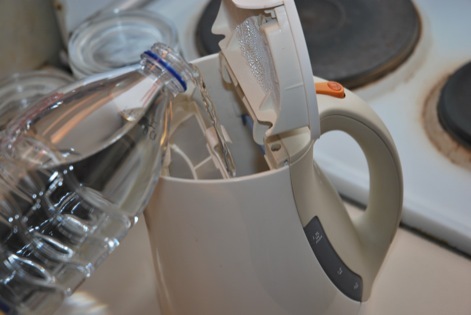 Now measure 1 tsp for each cup of water. Yes. This is a tsp, but it is not what we should use. Use an actual tsp. Britains figured out that, this size and shape can hold the perfect amount of tea for each cup of tea. Oh and when we mean cup of tea we don ‘t mean the typical 8oz (236 ml). We mean tea cups that are 6 oz (177 ml). 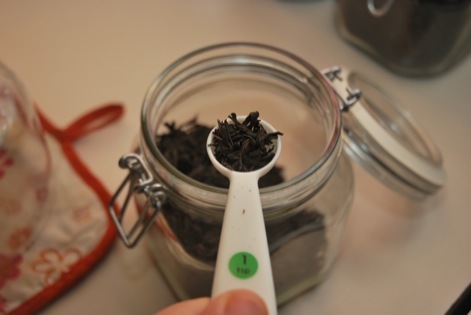 And since we are in the topic of measuring tea leaves we need to discuss the way we scoop it. You should never use the spoon as a shovel. 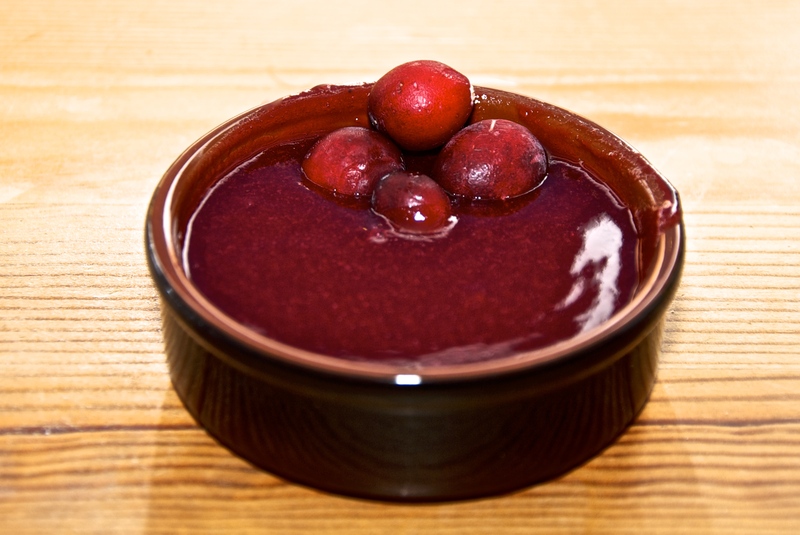 Lean the jar forward, place the spoon on the side and rotate the jar until the leaves fall on the spoon. Shoveling it will break the leaves making the expensive O.P. to the cheaper B.O.P. 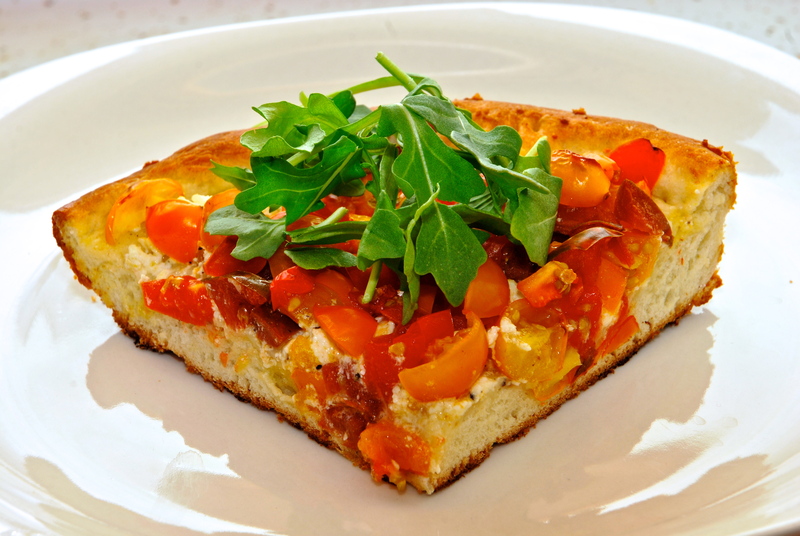 More importantly the little pieces will brew quickly will start giving astringent flavors. A small note here. 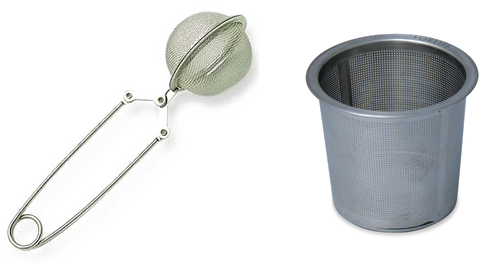 You certainly have seen the little cages, that are used to put the tea in to brew. These are evil!!!! Well not really evil, but not good either. They constrain the teal and they do not allow the leaves to fully unfold and soak. Just put the tea straight in the pot. You will also need a tea pot. They are nice especially these made from cast iron. They are also useless. they cost a fortune, and you don ‘t need them, the tea will stay in there for no more than 3 minutes. Some people however have a fetish for them and can ‘t resist. I cope with them, but I still use a carafe replacement from the coffee maker. When water is read poor in on the leaves. 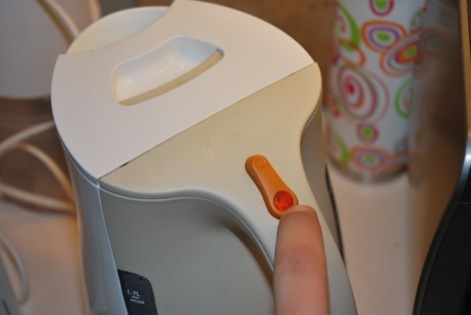 Not the other way around, and never, never, never boil the tea with the water. 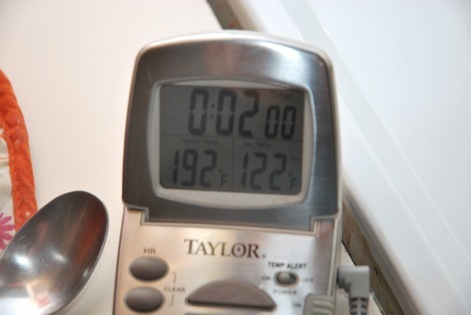 I brew for two minutes and monitor the temperature because I am a geek. You don ‘t have to count the time so precisely neither to monitor the temperature. And with time you will get a feel from the color when it is as you like. 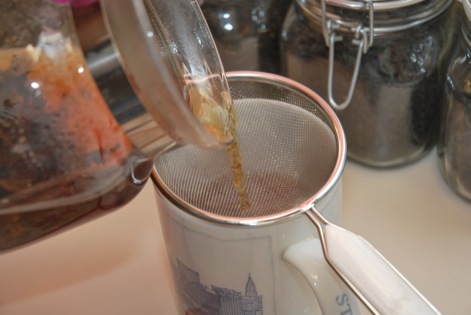 Use a strainer to catch any leaves that may fall and poor straight to the cup, that has been warmed with some hot water. Look how large the two teaspoonfuls became! Now fit this in one of the little cages. And here is the rich, dark, mahogany, fragrant, mature dark beverage that will steal your heart. 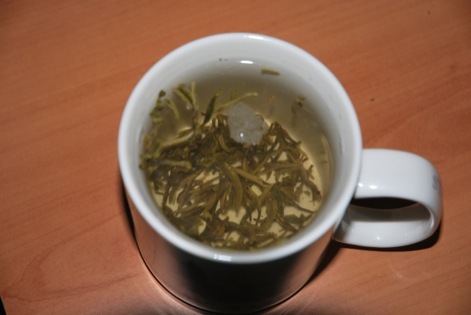 White teas and some good varieties of green teas that are whole leaves, don’t need to be brewed in a pot. Put them directly in the cup and add the hot water on top. In the beginning the leaves are floating, but as the trapped air is escaping they slowly sink and the tea is ready to drink. Black tea will become too astringent this way.